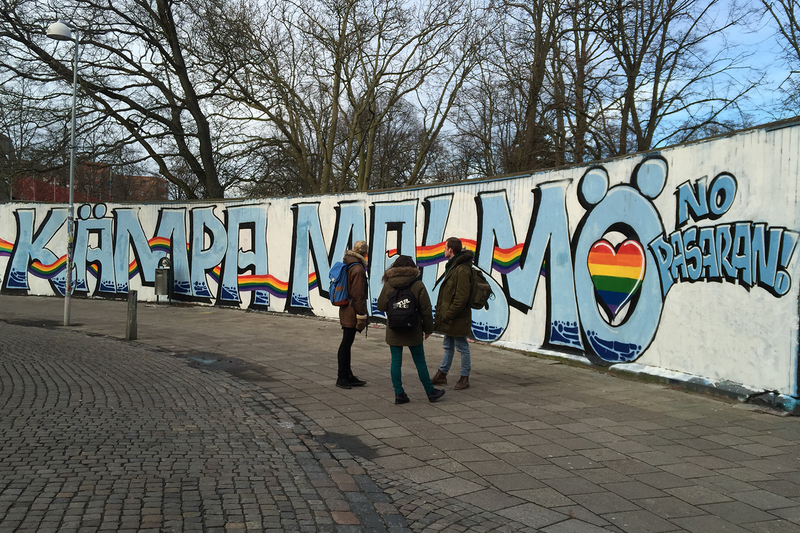 The presence of immigrant women in the history of Malmö has been virtually nonexistent throughout the past 100 years. The life and work of these women seem to be invisible in the writing of public memory, even though their existence has played a crucial part in Malmö’s development. It’s all in me is an attempt to reshape this historical oversight and bring about a collective awareness of the immigrant women living in Malmö. 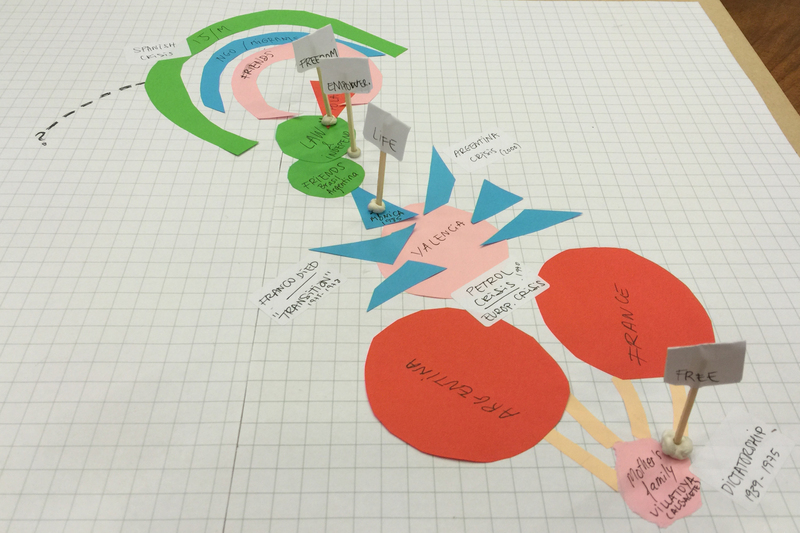 The work was developed in context of the project Women Making History, which was organized by Parvin Ardalan, an Iranian women’s rights activist and writer, in a participatory design process with immigrant women living in Malmö, Sweden. 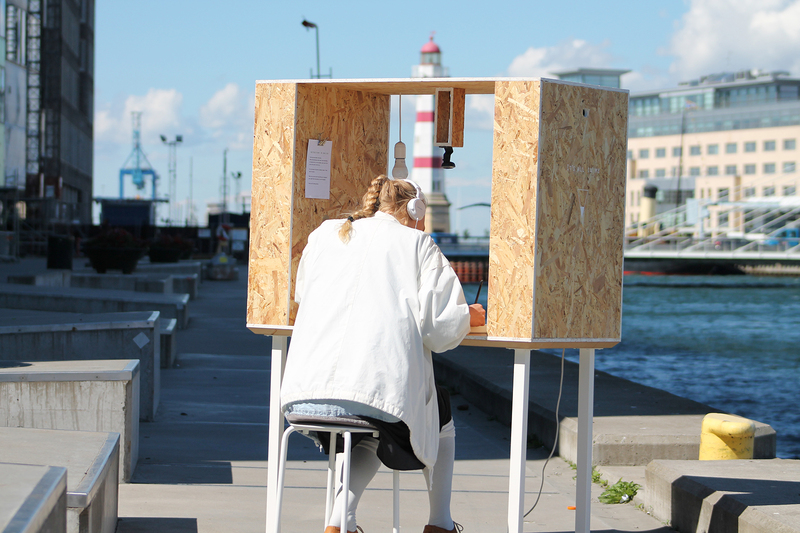 The interactive working station is placed at public places in Malmö. 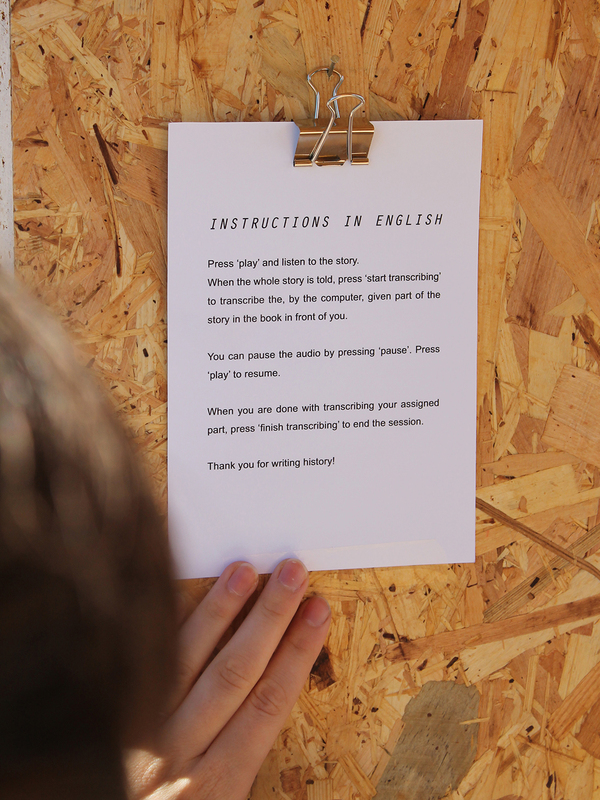 The passers-by are asked to listen to the story of an immigrant woman and write a fragment of the story in a handcrafted book. 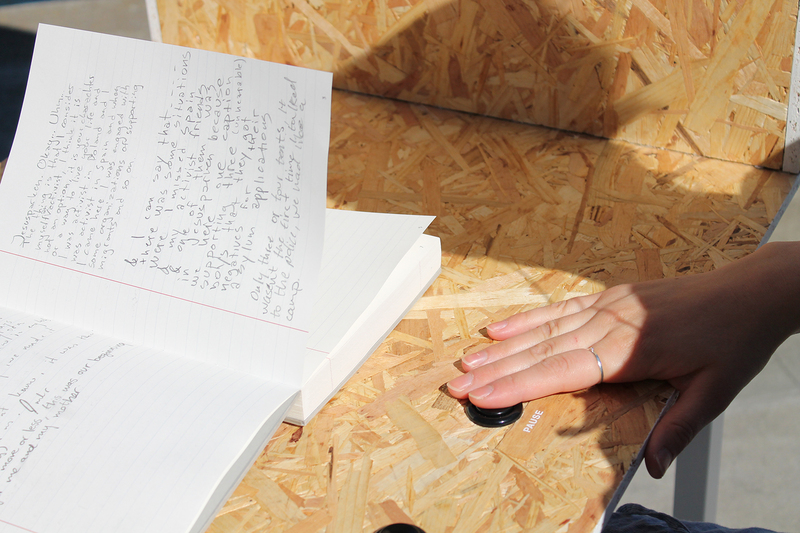 While writing a fragment of the story, the users’ hand is filmed and then a video is generated. The fragment the user wrote and other fragments of the story written by other users complement one another and form the whole story in the form of a book and a video. 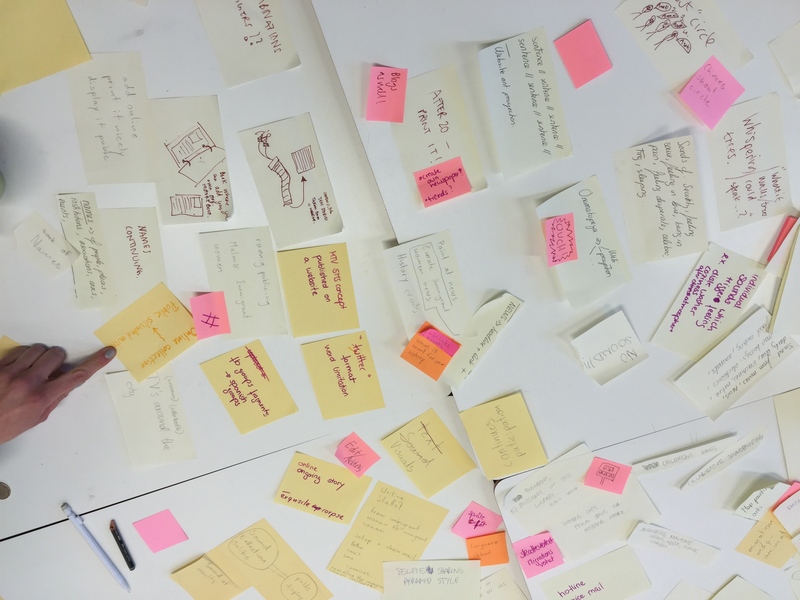 The idea is to make history writing a collaborative process that is ongoing and grows with every contribution by the people of Malmö. 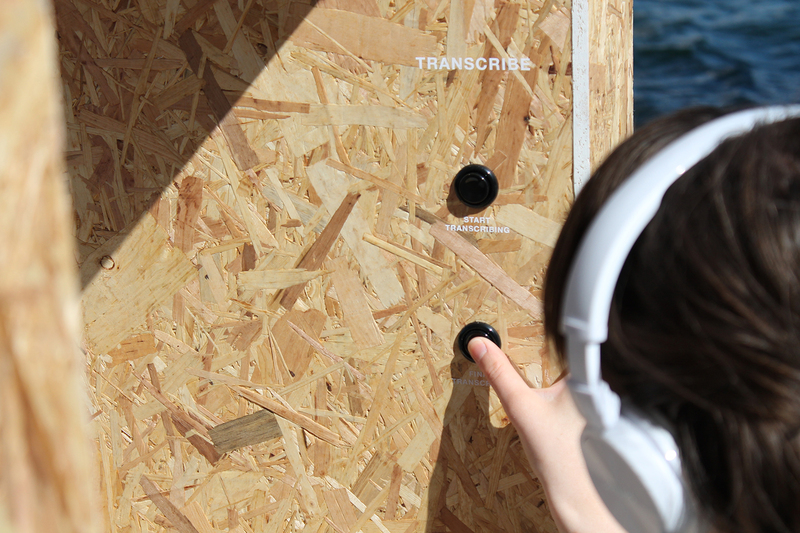 This project demonstrates my sensibility towards stakeholders of varying backgrounds and my experience in using participatory design methods to gain an understanding about participants’ lived experiences such as escaping and suffering from torture and to curate their stories.